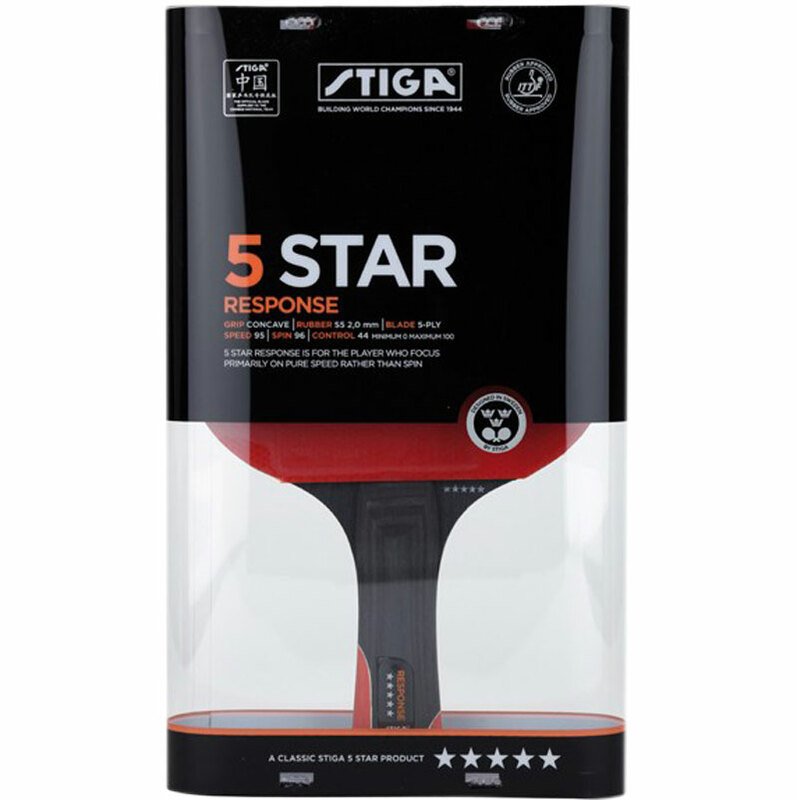 The Stiga ® Response 5 Star Table Tennis Bat is the ultimate choice for the direct power hitting player who focus on high speed, spin and good control. This bat is suitable for offensive players with more comfortable, great bat, control, lightweight and enlarged sweet spot. It is a high speed and aggressive bat of excellent design and outstanding quality. 5 Star table tennis bat. Acs-technology allows for very high speed. WRB accelerates the blade for faster returns.